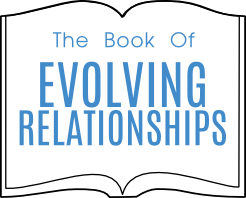 Welcome to the last lesson, Lesson 49, of the Book of Evolving Relationships. This lesson brings Us all to the end of this cycle. 7 is the number that denotes a cycle, 7 days in the week, 7 years of plenty, seven years of famine, etc., etc. 7×7 brings a life cycle to completion. That is why on earth when people go from 49 years of age to 50 one of three things happen. To some, reaching 50 is a calamity as if old age is around the corner. To some, it’s just another number and they are indifferent. To some 50 is the beginning of a new chapter in their lives where they see more opportunities than problems. When We started with Lesson 1 – “13 Questions to ask if you wish to resolve your relationship with a meaningful other” – We asked would you prefer to be happy or to be right? In this very first lesson We asked – What is it that you admire about the other person in this relationship? What is it that you admire about yourself? We then asked – What is it that you dislike about the other person? What is it that you dislike about yourself? After that We asked – Do you seriously wish now to resolve the issues about this relationship, allow Love to enter to replace Ego and find Peace of Mind? After that We asked – Can you now be happy with this relationship and can you now live with Peace of Mind, embracing Love with the significant meaningful other person in this relationship – no longer coming from Ego? Then We said – There are no more questions to ask! Enjoy your Now Love Relationship. 1) Who are you in a relationship with? 2) Who are you judging? Who is this meaningful other in your relationship with you? If by now you accept the fact that you are all Spirits, Souls within bodies on earth. That Soul contracts were made in Spirit to enable you all to heal, grow and evolve as Souls on earth so that God/Spirit could experience everything on earth, so that God could be God, Unlimited Spirit, Unlimited Love, then you accept another fact. The all-important fact that We/we are all Spirit, all Parts of God. If God is One then We/we are all One as We spelt out in Lesson 44 – Simply Shift from Alone to All One – and in many other previous lessons. So if We/we are all One then who is this meaningful other in your relationship with you? We now know where they come from – from Spirit, from Being Part of God. This meaningful other in your relationship with you, is another Part of You! Well, well, well, so who are you judging? You are judging You! Back We go all the way to Lesson 1 – What is it that you admire about the other person in this relationship? What is it you admire about you? What is it you dislike about the other person? What is it that you dislike about you? The mirror the other person in this relationship is holding up is showing you what you admire/dislike about yourself. There is no other meaningful other in this relationship! There is only You! The only meaning anything has is the meaning you give it (Lesson 10 – The Meaning of Chocolate Cake – Understanding Conflict Resolution). The only relationship you can have is with yourself. You are All there is. In Lesson 15 – Everything You Need is Inside of You – We showed you that there is an alternative to falling in love with someone else – fall in love with your Soul inside of you. It’s the Part of God inside of you. It’s unconditional love of yourself. If you become Unconditional Love – to yourself – then you automatically become Unconditional Love to Everyone – because you are Everyone! Then you will not judge anything that occurs with you or anyone else, you will simply accept what is – surrender to anything and everything that happens Now – knowing it’s part of the Bigger Picture playing itself out as We spelt out in Lesson 46 – Trust the Process, Lesson 47 – Stay in the Now, and Lesson 48 – Be Love. When you judge, you come from Ego, when you accept what is now you come from Soul, from Love – surrendering in Trust to What Is Now. By now you know that TRUST means To Release Unto Spirit Totally and then To Rely Unto Spirit Totally. You also know by now that God will give you everything you need (not want) and that when God gives it to you the timing is always perfect. Trust the Process, Stay in the Now and Be Love. When you come to know Who You Really Are – a Part of God, you will realize that any judgment you make coming from Ego is actually judging God! Far better to be Who You Really Are, a Part of God, come from Soul, come from Love, come from God, BE LOVE! Love is all there Is. God is all there Is. God is Love. May you know God is Love all ways and always, In every Present Moment of Now -BE LOVE! May You know Love Now and Be Love Now.